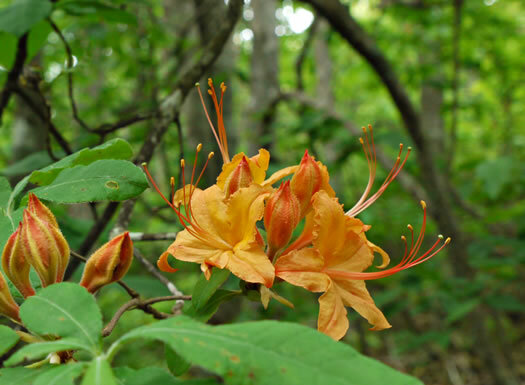 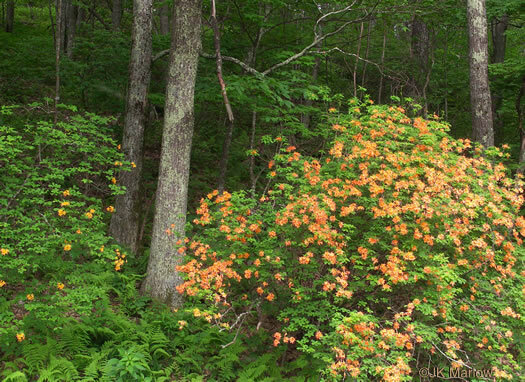 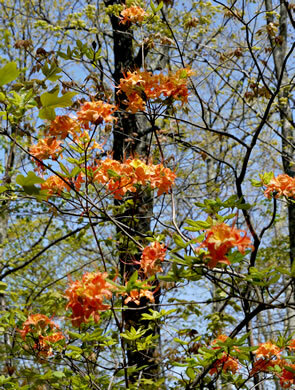 William Bartram described Flame Azalea thus: "... We were alarmed with apprehension of the hill being set on fire. 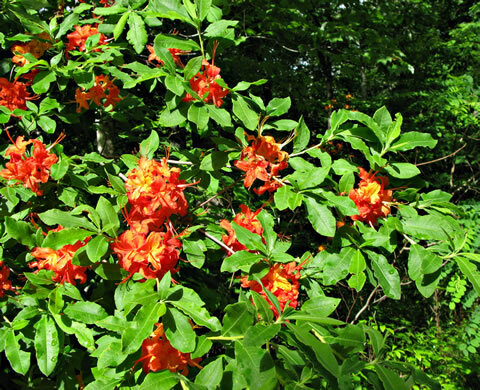 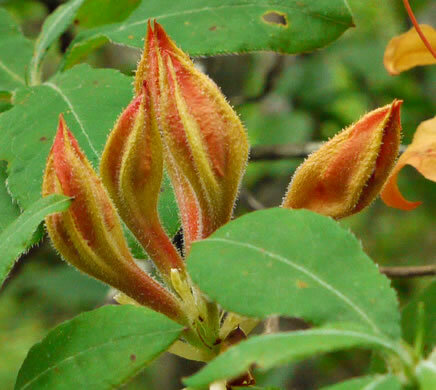 This is certainly the most gay and brilliant flowering shrub yet known." 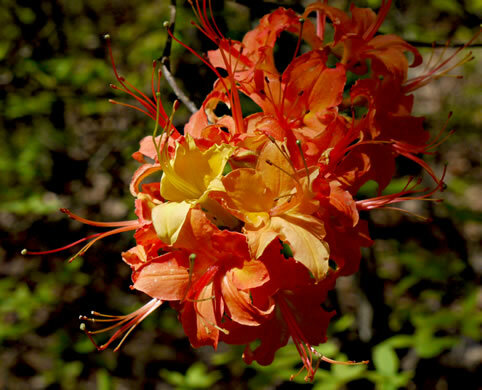 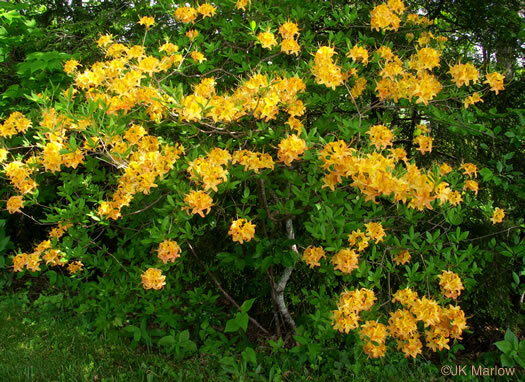 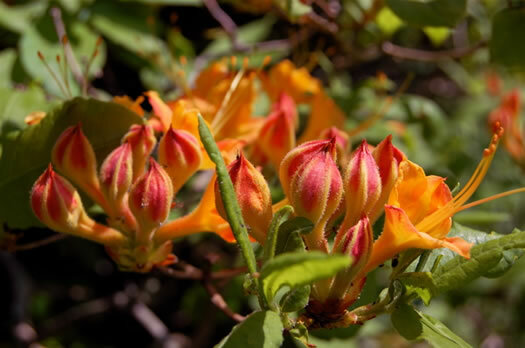 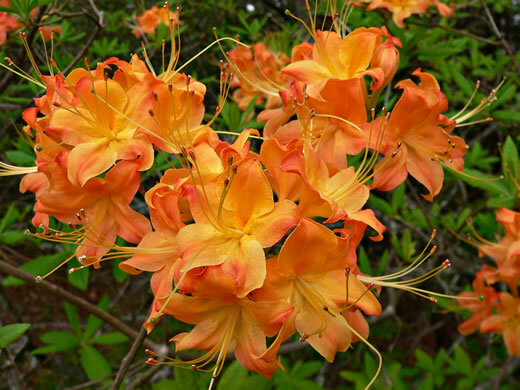 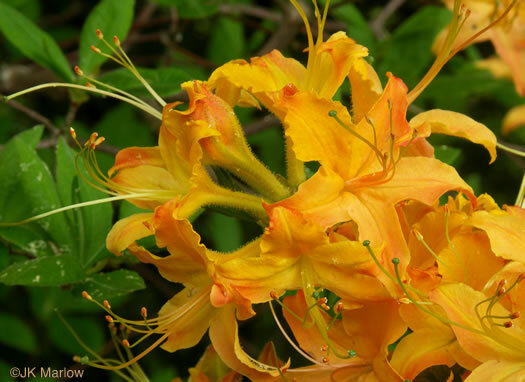 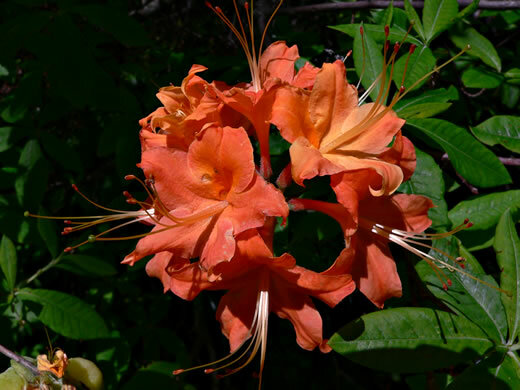 Flower tubes are glandular, in contrast to the 3 other orange-red azaleas, per American Azaleas. 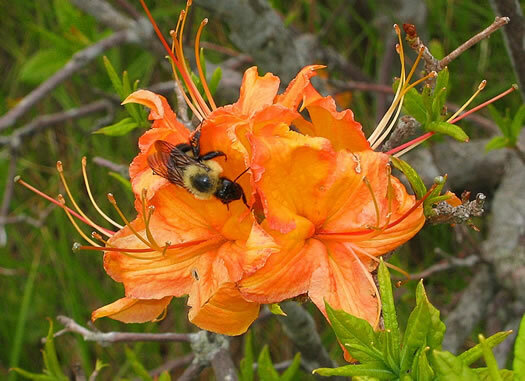 [Pollinator at work] Stamens almost twice as long as the corolla, per Vascular Flora of the Carolinas.